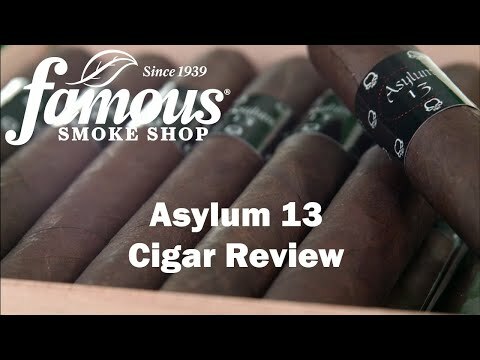 The Asylum 13 cigars come by way of Christian Eiroa's new cigar company, Tabacaleras Unidas. Rolled in Nicaragua, the Asylum 13 line is an all-Nicaraguan leaf puro presented in four sizes: 5 x 50, 6 x 60, a whopping 7 x 70, and the gargantuan 6 x 80 ringer. Expect a full-body, high-palate smoke that takes you on a smooth and complex excursion laced with notes of cocoa, espresso, sweet tobacco and spice. Ideal for lovers of wide ring cigars. Add some to your cart now.